Below is a summary of pricing and average days on the market for condos and rowhomes in the 20024 zip code in 2011, courtesy of Slate Properties. 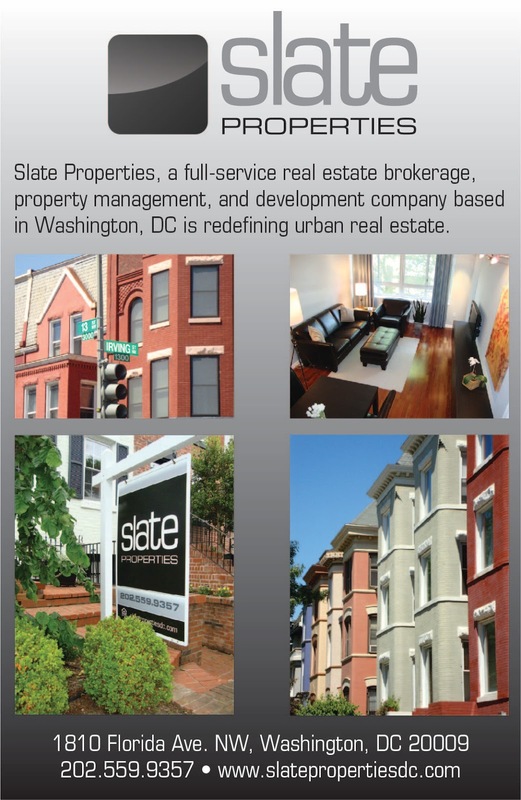 Woot Slate Properties! Can we discuss the high price of condo fees in SW? 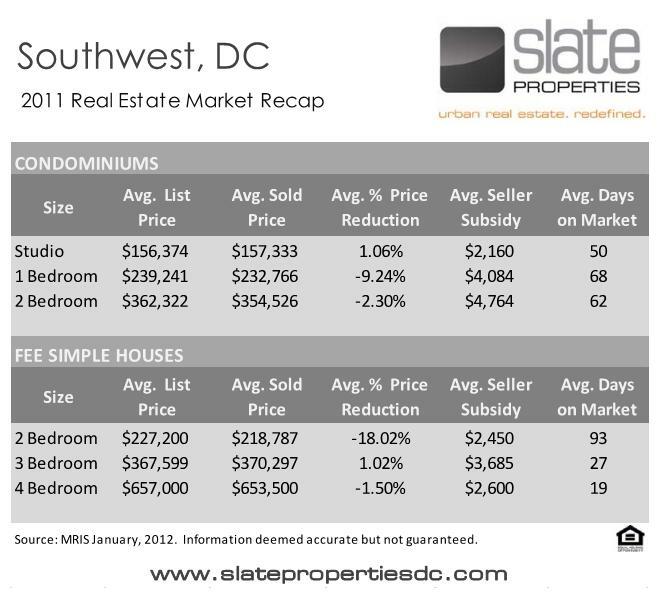 Nearly all of the condo buildings South of M street have condo fees of $700 up to $1500. What gives? Where the hell are the 2-bedrooms homes for $227K at? Many of the complexes south of M street are not condos, but co-ops (Harbor Square, Tiber Island, River Park). I'm no realtor, but my understanding is that because everything is paid collectively, those fees include all real estate taxes, utilities, and some level of insurance. There are also other complexities when it comes to what exactly you "own" (i.e., a "share" versus an actual property), but I don't think that actually impacts the monthly fee. You can definitely get a 2 bdrm at River Park for $227K or less. Like the other coops and condos though it does come with a fee. As Posit notes - the typical SW coop fee usually covers taxes, maintenance, utilities, security,sometimes parking, etc. So when you figure what you would be paying for those things in a fee simple situation it's often not too much more (depends of course on the property value and severity of the fee). Will, thanks for these stats. Do you have any of the numbers for 2010, 2009 or other prior years so we can compare and see how things are trending? I don't think "fee simple houses" are the same as condos since they're listed seperately on the chart. That said, I've never seen a single-detached listed in SW DC for below $250K, even in Buzzard Point. KAG680 - I'll see what I can find. Like HRH King Friday XIII, Ret., I would love to know where all these $220K 2 bedrooms are. My guess? That "average price" is the result of the handful of gutted and foreclosed 2 bed room properties that went for next to nothing "balancing" out the the $350K 2 bedroom places that have been renovated. but EoTR SW isn't 20024.